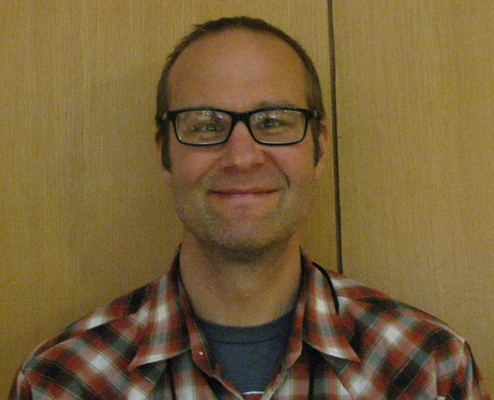 Luke Kralik is the Organizational Coordinator for the Collaborative Summer Library Program (CSLP). He began his library career in 2006 and has worked in a variety of library settings, most recently as the library director at Clatsop Community College in Astoria, Oregon. Early in his library career, Luke made the mistake of choosing books for storytime based solely on cover art. Sadly, at this stage of his life, he felt duty bound to read every single word. These unfortunate factors led to the longest twenty minutes of his and about fourteen young people’s lives. Luke received his MLS from Emporia State University, and has a BFA from Southern Oregon University. He is a native Oregonian, and lives in beautiful Tillamook County with his wife, three daughters, three cats, and two chickens. He brings a wealth of leadership experience and an understanding of different library systems to the organization. In addition to his previous job at Clatsop Community College, he also served as the college librarian at the Tillamook Bay Community College, Tillamook, Oregon, as well as a reference librarian at the Tillamook County Library and at the Jackson County Library in Medford, Oregon. His experience as a school librarian at the Sacred Heart Elementary School in Medford, Oregon, gave him firsthand experience running a summer reading program. Luke will oversee all aspects of projects for CSLP, including contracts, strategic plans, online manual development, rules of use, membership support and the creation of an online storefront, among other things. This full-time position will begin June 1, 2017 but prior to that, he will work with the CSLP Board of Directors, its multiple committee chairs and vendors on a part-time basis laying the foundation for the June transition.